Lively flavors of sweet citrus and peach, with a bright berry finish. Pairs well with light cheeses, spicy cuisine, or desserts. 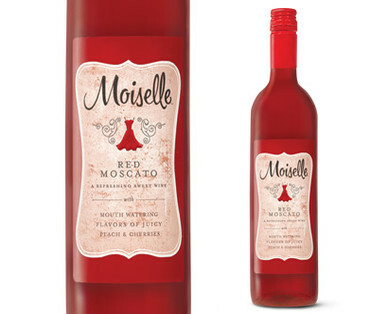 ALDI Moiselle Moscato wines have been awarded a 2014 Editors' Picks Award from Progressive Grocer for being among the year’s most original, engaging and downright fun retail items. These wines were selected as a top product in terms of innovation, taste, functionality and value, and are recognized as the best of the best from a range of companies across all store categories.